Download "SRL Networks Presents Yuko Yamamura" on The Skunk Radio Live Record Store. 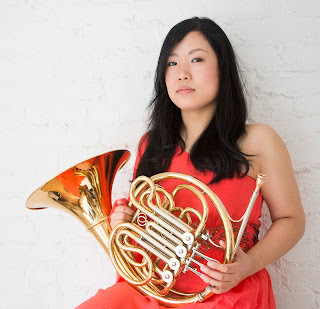 Yuko Yamamura is a jazz and classical french hornist, composer and arranger. She was born in Kobe, Japan and started her musical studies as a singer at the age of seven. She graduated from the Osaka College of Music in 1998, where she studied classical music with Hiroko Fushimi and Shigekazu Ikeda, and wind ensemble arranging with Toru Takahashi. She also studied jazz – particularly improvisation with Hiroshi Munekiyo – at the Arrow Jazz Orchestra Music School. Yuko won the Best Song Award in the Jazz category of the American Songwriting Awards 2014 and was also one of the Grand Prize Winners in the John Lennon Songwriting Contest 2012 Session-1 Jazz category. Yuko continues to perform and compose in a wide variety of styles including but not limited to classical, jazz, rock, funk and experimental. Listen out for Rove Over and other Classical music releases by Yuko Yamamura on Skunk Radio Live Instrumental Hour.